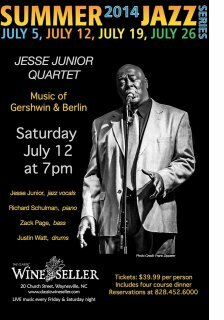 Jessie Junior Quartet, "Gershwin & Berlin" with Richard Shulman - piano, Jim Simmons - bass and Justin Watt - drums, Sat. July 12th, 7:00 pm at The Wine Seller, 20 Church St. Waynesville NC. $39.99 per person includes a four-course dinner with fine live jazz. Call 828-452-6000 for reservations (last time we sold out!). 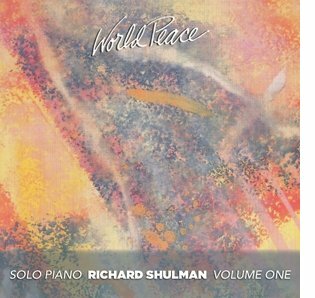 Back in 1985 a friend and healer I was working with suggested I record a solo piano recording. I ended up recording two solo albums that year, "World Peace" and "Solo Flight." "World Peace" is at the manufacturer and we expect them in a couple weeks. 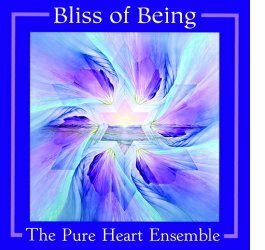 Bliss of Being was again in the top 10 on Music Direct's Soundscapes in May! Mon. Sept. 15th Noon, interview on the Bob Hannah "Living Well" radio show on Asheville FM radio. Thanks for your support of this music! Coming soon: a series of musical prayers expressing blessings through music. I'll be including these in future newsletters.